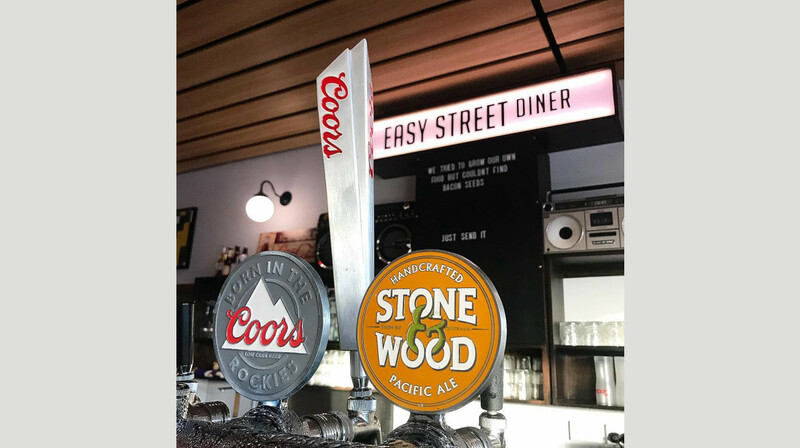 Welcome to Easy Street Diner, home to the best burgers on the Gold Coast! 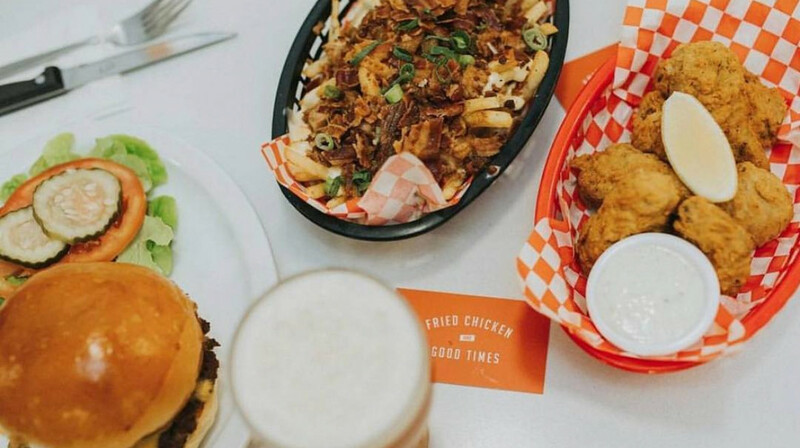 Specialising in fried chicken, epic burgers and good times, this American diner pulls out all the stops to make you smile. Putting their own twist on classic comfort foods, enjoy a menu loaded with treats, from sticky buffalo wings and pork belly nuggets, to truffled mac n’ cheese. But it’s their signature Po’Burgers that have customers raving. 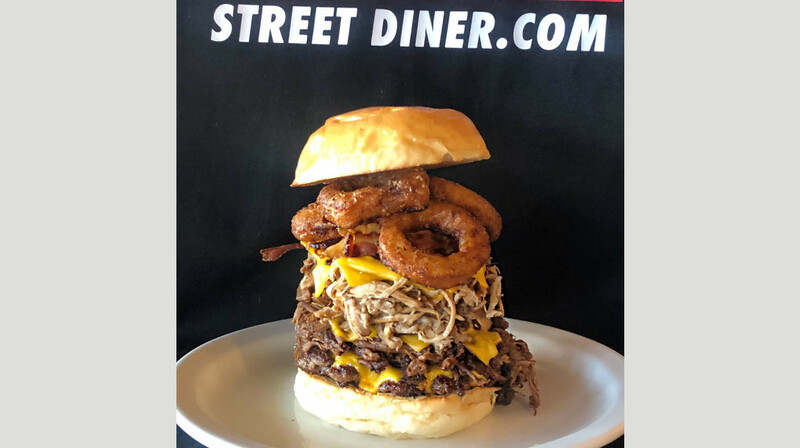 Stacked high with premium beef patty, with fillings of oozing cheese, crispy bacon, tangy gherkin and even onion rings, it’ll be love at first bite. 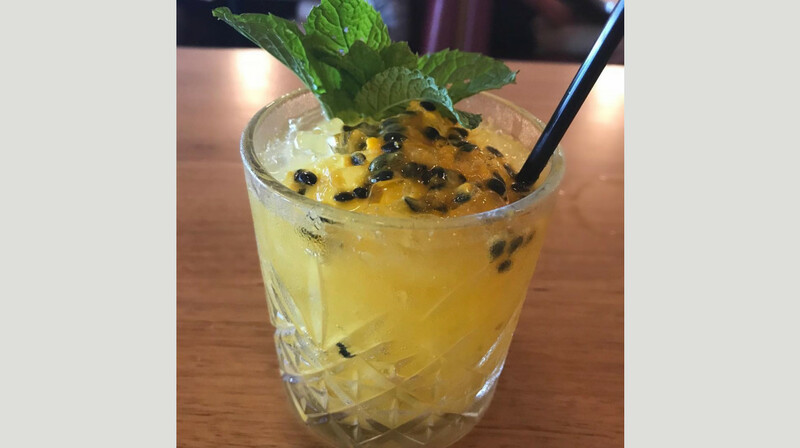 The specials boards features their latest edible inventions (previous experiments include The Triple Bypass Burger, with triple beef patty, triple bacon and triple cheese), whilst the bar mixes crazy-good cocktails, such as the passionfruit margarita or lychee champagne spritzer. 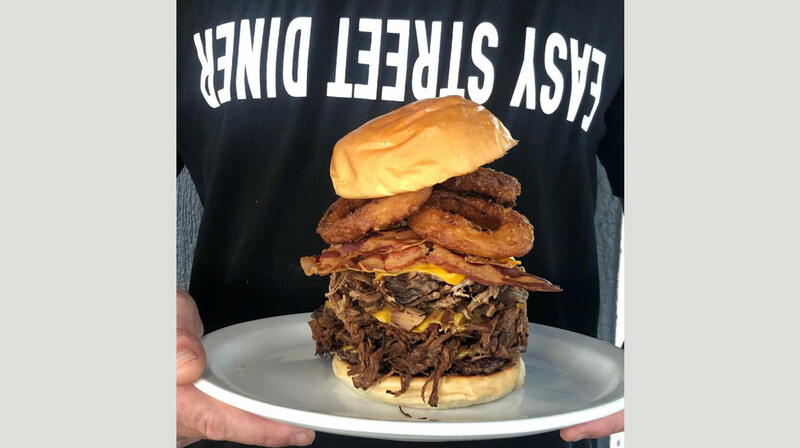 Grab friends, grab family and get ready to be indulged at Easy Street Diner. Located just off Gold Coast Highway, Mermaid Beach. Pork nuggets are the absolute best!! The burgers and food were top notch. Never been here before but will definitely be back. Come and try it for yourself and you'll see why. 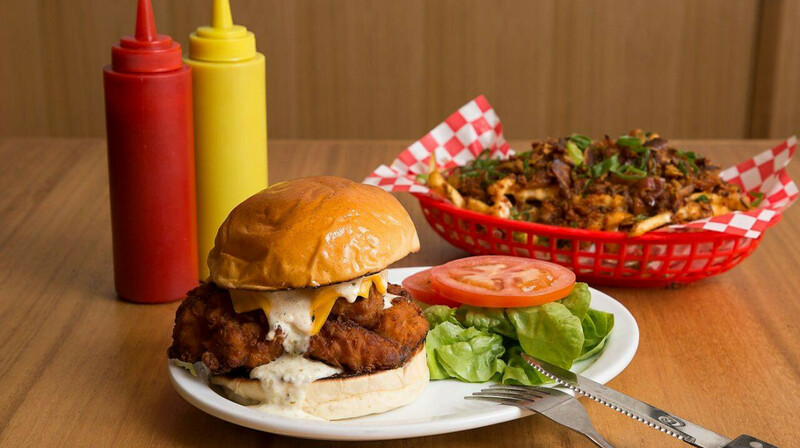 Great Burgers and American Style Diner Food. The service was really friendly too. Ate dinner on a Saturday night at Easy Street Diner. Burgers were delicious and staff were very friendly and attentive. Would definitely recommend the restaurant to others and will be back. 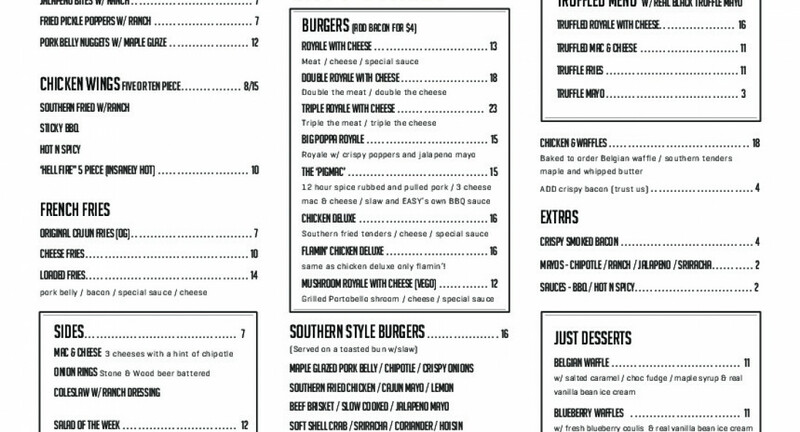 Good service, was nice to hear some good rap music with American style burgers. Good for boys get together possible some games on the tv? This restaurant was the best out of 3 restaurants I went from Firsttsble. Nice food. Good service too! Would go again. Awesome food and awesome staff as always! Enjoyed everything about our first dinner at Easy Street Diner. Both of our entrees were fast, hot, fresh, delicious.. followed by our equally delicious and huge burgers, washed down with perfect cocktails! Only disappointment.. no room for dessert! Management was lovely and friendly, as were the staff. Best burgers ever. Service ok. Always a great time! Food is amazing and staff are great. We love going as much as we can. 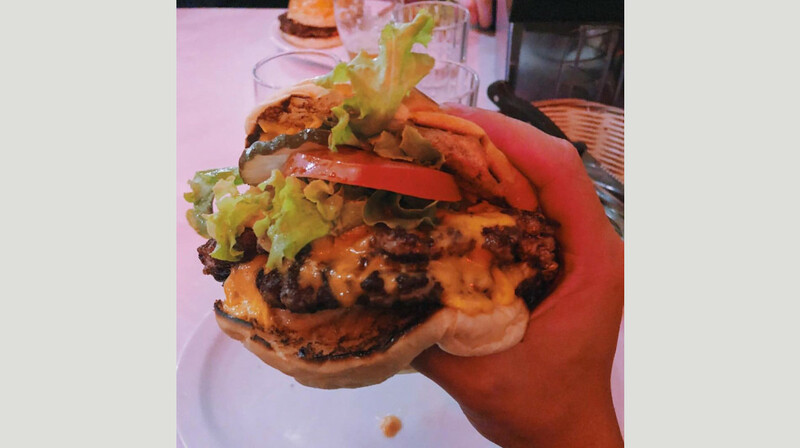 The best burgers around. So good. Great service. Highly recommended. 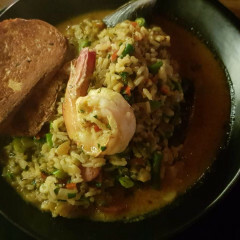 food was excellent and the service was great. Would highly recommend! I am speechless!!!! The food was so fresh & not greasy at all!!! The alcoholic drinks where also amazing! They hit the spot! the service was very fast even though they where busy at the time! We will be back. This restaurant has to be the best burger place I have ever been to in the world! This is a big call but I’m a person that has travelled a lot and experienced many different burgers! Nice food and staff. The truffled fries were amazing!!! The food here is always good. 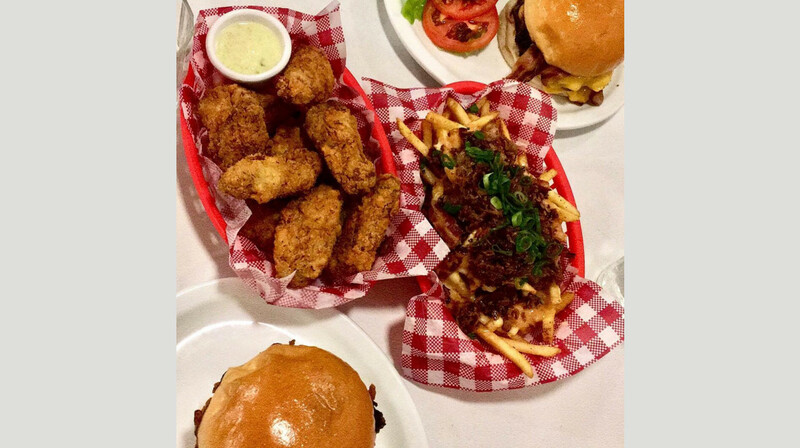 Our meal at Easy Street Diner was a fabulous start to our Gold Coast holiday. The food was excellent and the service was superb. Have already recommended to others. Such a groovy little place! Food was awesome and staff lovely. It was awesome being in early have almost having the place to ourselves, we really got to appreciate the funky artwork and vibes of the place! The Sailor Jerry drink Special is to die for! Good food and good service. I particularly likes the fries with the lot. 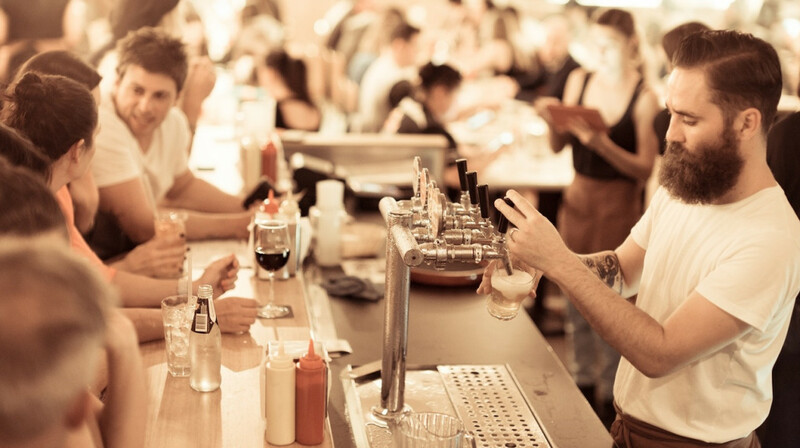 It is a restaurant more suited to hang out with mates and chill out with good food, not a romantic date night. Also, the music was quite intense with explicit language, so it may not be appropriate for families with kids and teens. Other than that, it was a great night with good food and cool vibes. We love easy street diner. The staff were friendly and helpful and the food was delicious! 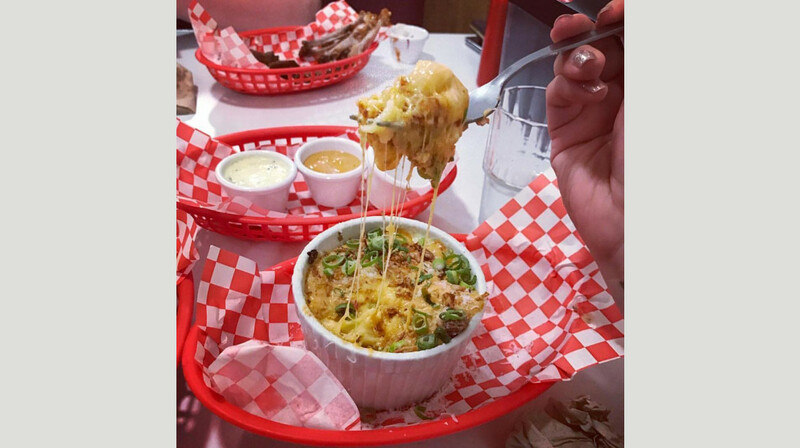 We tried one of the specials- the Mac and cheese loaded fries and it was amazing! 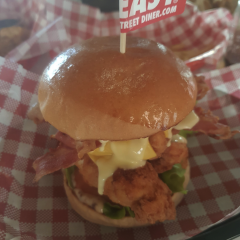 It was my second experience at Easy Street and it was EVEN BETTER than the first! Whatever their specials are ORDER THEM! Food was AMAZING, cocktails were great and the atmosphere is what really makes it! I’ll be back! Always a good feed at Easy Street Diner. 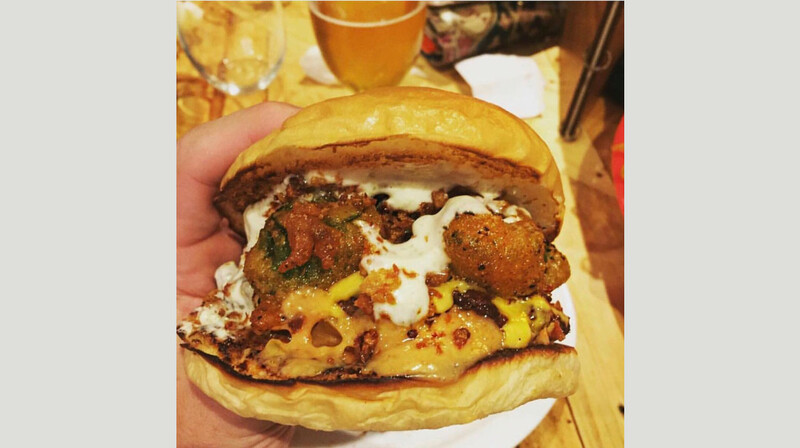 My husband and I shared a burger, loaded fries and the heavenly pickle poppers. The staff are relaxed and attentive. Most importantly the food was amazing! Had the halloumi special burger and it was probably one of the best burgers I have had. Had the extremely hot wings which were great but they did blow my head off with heat. The staff are super friendly and helpful. Good beers on tap. 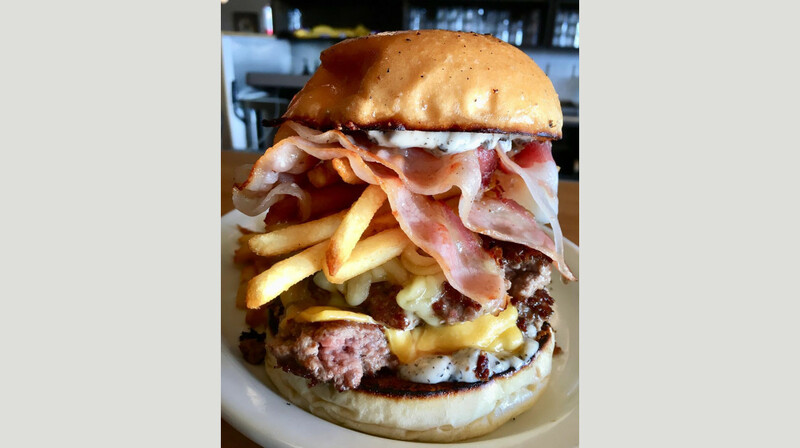 Dined at Easy Street Diner on a foodie holiday in the Gold Coast recently - I had been here previously so when I seen it was available on First Table I knew we had to make time to visit again! The service was by far the best we had received over our 5 day trip, the waitress (who's name I didn't catch) was super friendly and made us feel so at home! The food was just as good as the service - which rarely happens for us it's usually one or the other but this place is an all rounder. 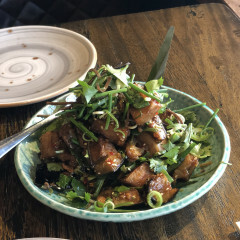 I would recommend trying as much as you can from the menu - which is what we did 6 plates between the 2 of us, but if I had to pick a stand outs it would be the Chicken Waffles and the Pork Belly nuggets - they are to die for. Can't wait to return when were back on the Gold Coast. Brought a 'Easy Street Diner' tee while we were there too, the place is that cool - REPRESENT. 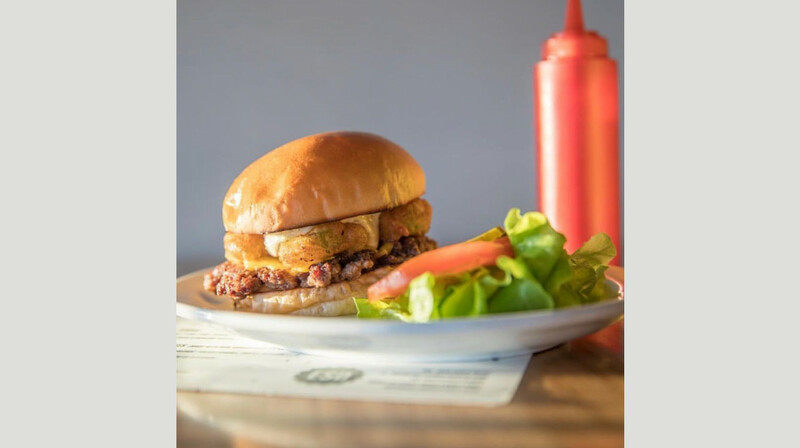 Some of the best burgers on the coast! Funky music, great service and some mouth watering burgers. If you love all things deep fried, the Pork belly nuggets and Jalapeno poppers are a must. The atmosphere was amazing, service outstanding and cocktails and food spot-on. Definitely be back. Great food. Big popper burger had some serious zing, tasted amazing! The pork nuggets with maple dipping sauce were out of this world amazing, thanks for an incredibly satisfying meal of nuggets and wings. The staff were friendly and helpful. Although we felt a little rushed to vacate our seats for other waiting patrons, we really enjoyed it and will definitely visit again! Loved everything about our meals!! 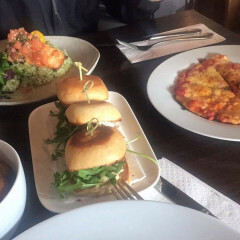 Absolutely loved the pork belly bites as a starter and we got a soft shell crab burger and the triple meat & cheese burger both were outstanding! Highly recommend. Well, we made piggies of ourselves! My partner had been here before, but this was my first time. 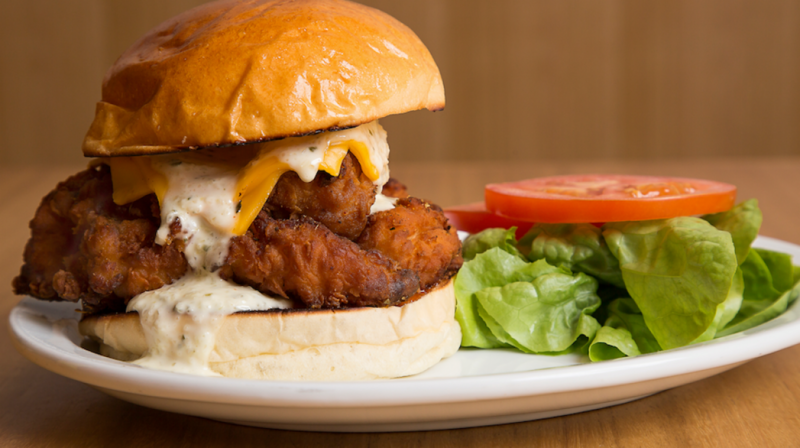 He often raved that Easy Street made the best burgers on the coast so it was important we put that to the test. Absolutely amazing! Great food and atmosphere! Best burgers on the Coast! Loved the loaded fries too. Came here for 4th of July as we are Americans and wanted to celebrate at an American style diner. It was very easy making a reservation and finding parking nearby. Upon entry we checked in with the cashier and were seated at a reserved table. 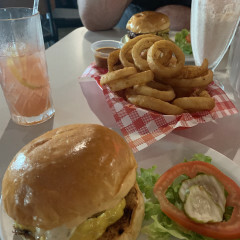 We both ordered burgers as well as cheese fries, a strawberry shake, and a dr pepper to drink. 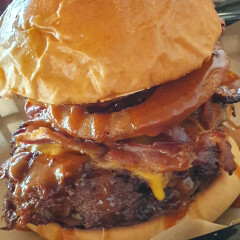 Now I was very much in between a 3-4 rating for the food however because you can’t do it in the middle I rounded up simply for their outstanding service and delicious burgers. They were the most “American-Tasting” burgers I have eaten since being in Australia. Fantastic quality and they even have a thousand-island type sauce!! However I was very disappointed with the milkshake and cheese fries. They took the term MILKshake literally and it simply tasted like strawberry milk. It was not thick like a regular ice cream based shake. I left nearly the entire thing on the table after having one taste. The fries were also a disappointment. Definitely don’t expect them to taste like cheese fries back home. They simply had a cheesy sauce resembling nacho cheese instead of having melted cheese. However due to the fantastic service and incredible burgers I’m giving this place 4 stars. I will definitely be back for the burgers!